Hey everyone! I'm wishing you all the warmest and merriest Christmas today! One of my favorite things to do with my family is have a movie marathon all day long. Kevin McCallister accidentally gets left behind when his family leaves to the airport for their Christmas vacation. He enjoys the idea of being alone until he must find a way to protect his home from burglars. Buddy goes from being a baby in an orphanage to being raised as an elf at the North Pole. As he reaches adulthood, he gets the feeling that he doesn't belong. He makes his way to the big city in search of his birth father, Walter Hobbs. 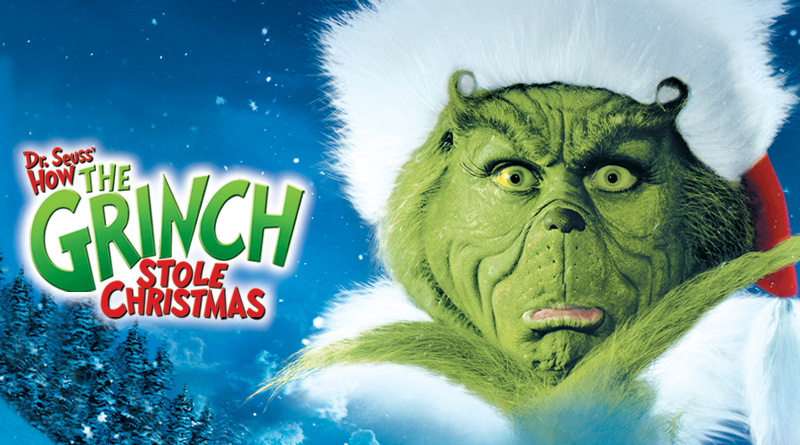 The green, revenge-seeking Grinch plans on ruining Christmas for all of the citizens of Whoville. Santa gets caught in the cross fire between the feuding Miser Brothers (Heat Miser and Snow Miser). He ends up in stuck in bed with a bad back. 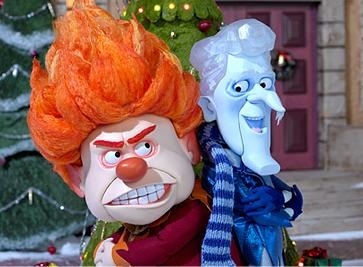 Mother Nature punishes the Miser Brothers by forcing them to put their differences aside and to fill in for Santa. There are a TON of movies to choose from, but these definitely made the cut in my favorites list. I can watch these any time and automatically get into the holiday spirit. I hope you all enjoy my movie suggestions for this Christmas! from the MouthWatchers Family to yours! Travelling for the holidays can seem like a necessary evil. But with a little preparation, it doesn’t need to take away from the Holiday Spirit! My Top 5 Holiday Travel Essentials! The holidays are just around the corner, which is crazy! Time seems to fly as soon as October ends, and then it’s a mad dash to the end of the year. I am very low maintenance with my hair, but a hair brush is still essential! No matter what kind of hair you have, it’s important to get all snags and tangles out a couple times per day, plus it’s good for your scalp to brush your hair, as the contact of the bristles encourages circulation! I don’t like packing heavy when I travel, so a must-have for me is the Wet Brush Foldable Hair Brush. Travel (for me) means lots of driving, and my feet can get sore from the hours spent on the road—not to mention that the holiday season here in New England means brisk, chilly weather! A comfortable and warm pair of socks is a necessity for me. My favorite ones are Bombas! They support your arches and also give pairs to those in need when you purchase. I’m a skincare junkie! I often have breakouts, plus when the cold weather rolls around your skin can get dry so easily. When I’m tuckered out from travel I don’t always want to go through a whole extensive skincare regime, so having a quick, easy, and portable option helps a bunch. I’ve been loving the Neogen Real Cica Pads—They have a smooth side and a more exfoliating side, so you can really get a good clean/scrub if you’ve decided to slack on cleansing, etc and just want to get to bed. Traveling is no excuse for slacking on dental hygiene! During the holiday season, people are always taking pictures, so you want your smile to be in tip top shape. I always make sure that I have my Dr. Plotka’s travel toothbrush!!! The flossing bristles make sure every spot gets a thorough clean, and the antimicrobial properties of the brush are even more necessary during travel—I can rest assured knowing that my toothbrush is clean and bacteria-free even after bouncing from my travel bag to various bathrooms/hotels back to home. I never travel without it! Most folks associate neck pillows with traveling on airplanes, but when you drive (or maintain any posture) for a long amount of time it can strain your neck! When I drive I have a very “forward” posture, so once I’ve arrived at my destination, relaxing with a good neck pillow really helps to ease the muscles and get everything back into position. My favorite neck pillow is memory foam! I hope this list was informative and helps you piece together your packing list for wherever the holiday traveling season may take you!